Sound Isolation, IsoTape or joist tape is applied to the face of studs, top, and bottom plate or ceiling joists to reduce impact noise. Sound Sound Isolation Tape, IsoTape or Integrity Gasket, 2-1/4" x 100' roll, is formulated to provide a uniform layer between framing members and surface materials to reduce impact sound transmission through floors and walls. It is also effective in reducing floor vibration and to reduce squeaks. Sound Sound Isolation Tape, IsoTape or Integrity Gasket, 2-1/4" x 100' roll, is formulated to provide a uniform layer between framing members and surface materials to reduce impact sound transmission through floors and walls. It is also effective in reducing floor vibration and to reduce squeaks. There are 5 rolls per case (500 LFT). Sound Isolation Tape, Integrity Gasket, is a formulated gasket that provides a uniform layer between the framing members and surface materials to reduce impact sound transmission through floors and walls, reduce floor vibration, and reduce squeaks. Isolation tape is applied to the face of studs, top and bottom plates, and ceiling joists in order to reduce the impact noise from walking and other movements. Our powerful IsoTape acts as an integrity gasket that’s strong enough for both commercial and residential applications. This isolation tape is made from a closed cell foam material that’s durable, installs in minutes and is built to last. The powerful joist tape works for all types of materials, from wood and tile to concrete, granite and more. 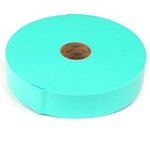 Whether you’re looking for a single roll for a small room or need to purchase by the case to complete your entire home project, we have the highest quality isolation tape with the very best prices you’ll find anywhere else online. With fast and easy installation, affordable prices, and fast shipping, our IsoTape is all you need to create the best isolation gaskets for your walls, ceilings and floors. Buy now and save!